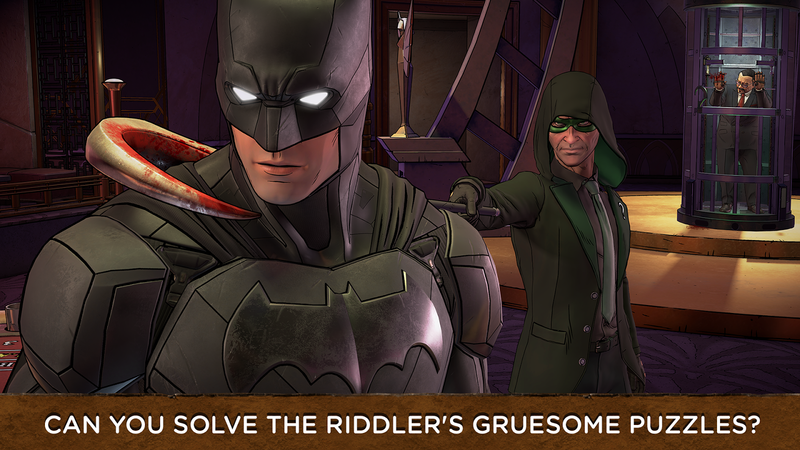 This time around in the ongoing Telltale Batman saga it looks like you will be duking it out against the Riddler along with forming uneasy alliances with a ruthless federal agent and maybe even the Joker. 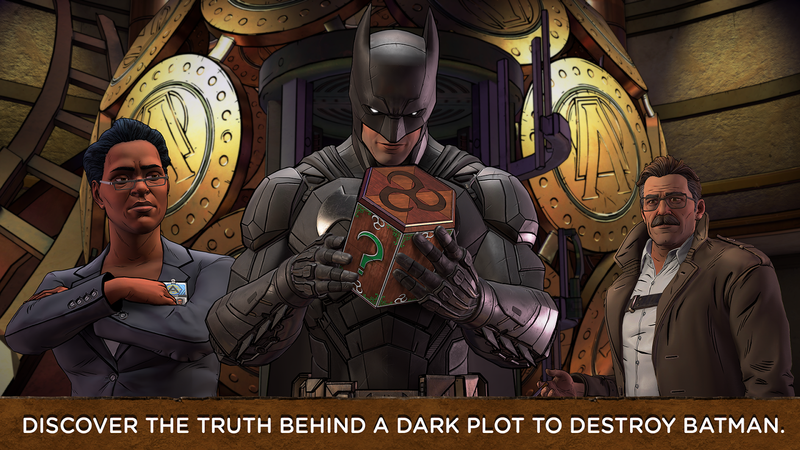 This setup appears to point towards Batman shedding his morals in order to delve into the darker aspects of his personality, which should prove pretty interesting. While only the first and second episode are currently available, rest assured the full story will reveal itself as the last three episodes are released. Of course, you have the option to purchase a season pass for all 5 episodes, which costs $14.99 and is 25% cheaper than buying each episode individually. While I can't recommend purchasing anybody's content sight unseen, I am sure many of you feel confident enough with the publisher's track record to deliver a worthwhile story in a consistent manner. 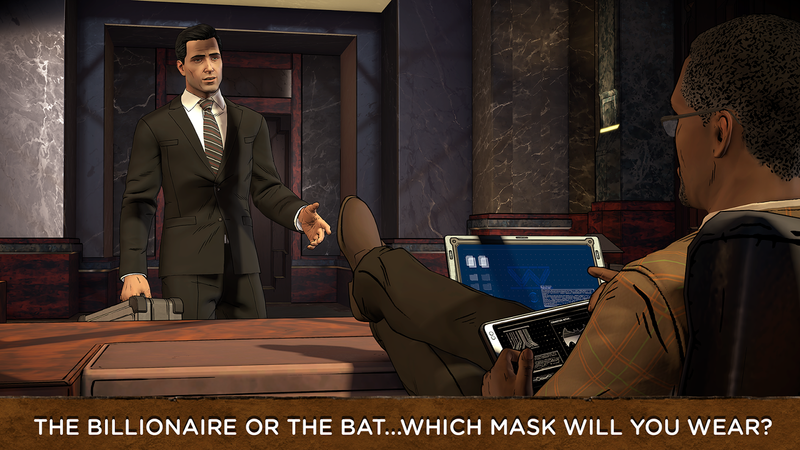 The thing is, the game engine Telltale uses has seen better days. Long loading times, imprecise touch controls, and a limit on the amount of compatible devices that can even run the game can easily hinder the experience for many people. While I have only played through the first free episode, it is clear that you will often miss a point of interaction on the touchscreen even though you did, in fact, tap precisely on the screen as you were directed. Sure, I was able to make it through the full episode with only a few sectional restarts, but for me, that was a few too many. Now, the good news is Google Play Games Services is supported with the inclusion of an achievement system. The bad news is that there is no cloud save support through GPG. 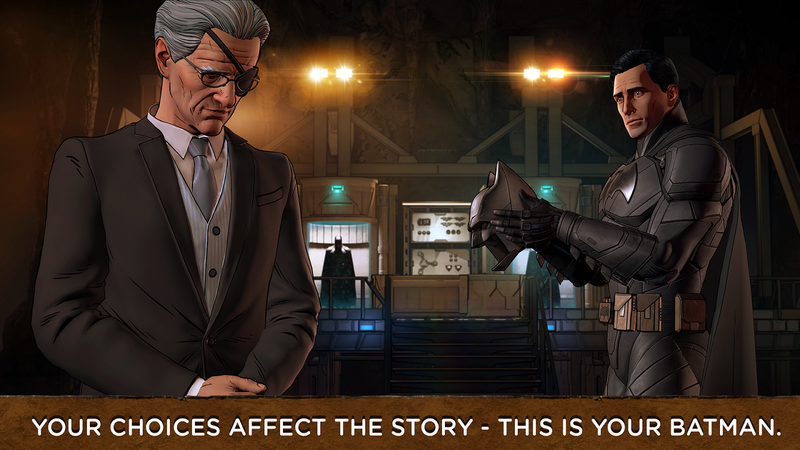 Luckily Telltale Games have implemented a cloud save service through their own account system. While it can be a pain to sign up for yet another account, this does provide a way for users to access their saves across operating systems. 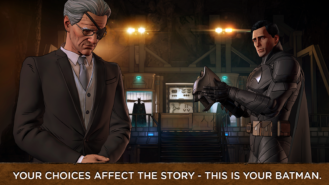 So sure, it's no surprise to see Telltale Games release their latest title on Android, and for the most part, it is a welcome addition to the Play Store. 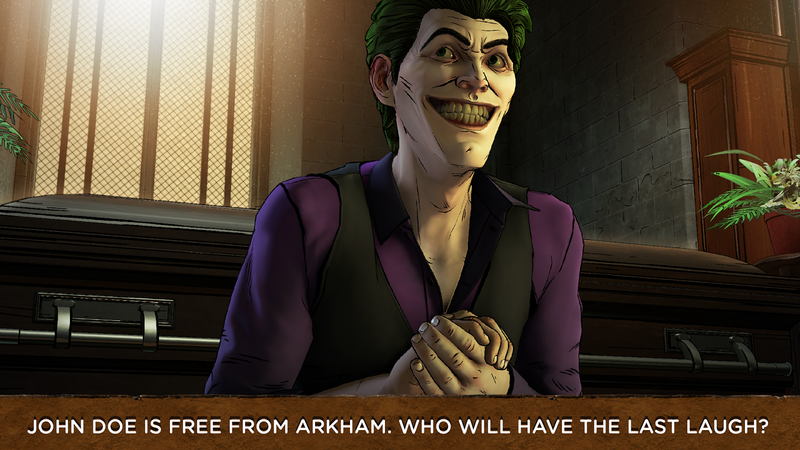 There are some quirks to the gameplay that are annoying, but this is a Telltale game after all, so it's pretty much expected. 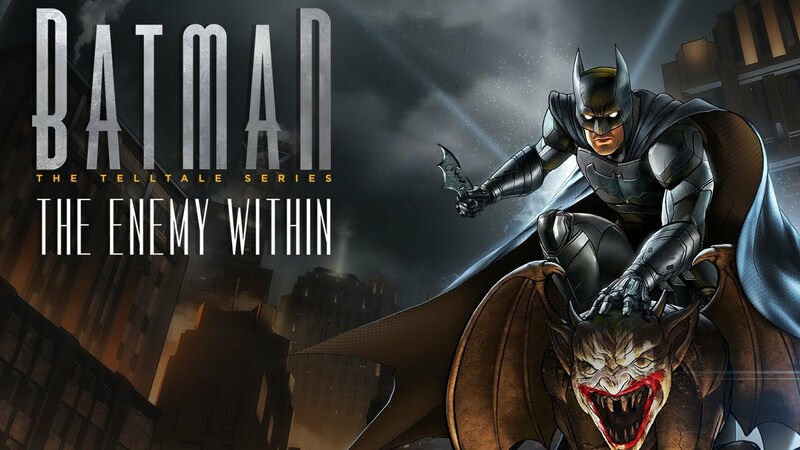 Those of you looking to continue your adventure with Batman or those merely looking to see what is so popular about this type of story-driven adventure games, Batman: The Enemy Within is a solid choice that easily stacks up against the rest of the developer's somewhat buggy releases.